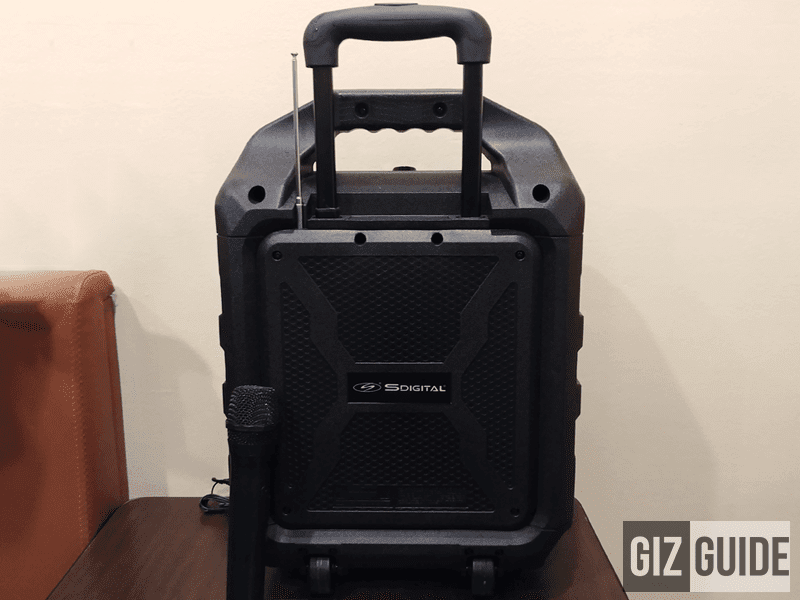 SDigital Bass Cruzer Portable Rugged PA System Is Now In PH For PHP 8999! Home / audio / news / sdigital / SDigital Bass Cruzer Portable Rugged PA System Is Now In PH For PHP 8999! An all-in-one speaker and mic solution. SDigital, has finally made the Bass Cruzer, a powerful yet portable wireless sound machine available for the PH market. SDigital Bass Cruzer now in PH! As a quick recap, the SDigital Bass Cruzer speaker with mic is a rugged and HiFi sound grade PA system that's designed to provide professional sound everywhere even on a budget. The rugged yet great sounding and affordable PA system! It's made out of metal (exterior and speaker grill) and composite materials that's slightly flexible, but very sturdy and has resistance against dust. It also has a pull-up handle and wheels below for easy handle and transfer from one place to another. Going to the sound, the SDigital Bass Cruzer was engineered by an audiophile. It's designed to deliver balanced full-range sound which covers all parts of the audio spectrum with monitor-grade balanced, detailed and non-fatiguing audio. We were even surprised that it has outstanding instrumental separation and decent soundstage. It even has several presets to choose from for your personal audio taste. 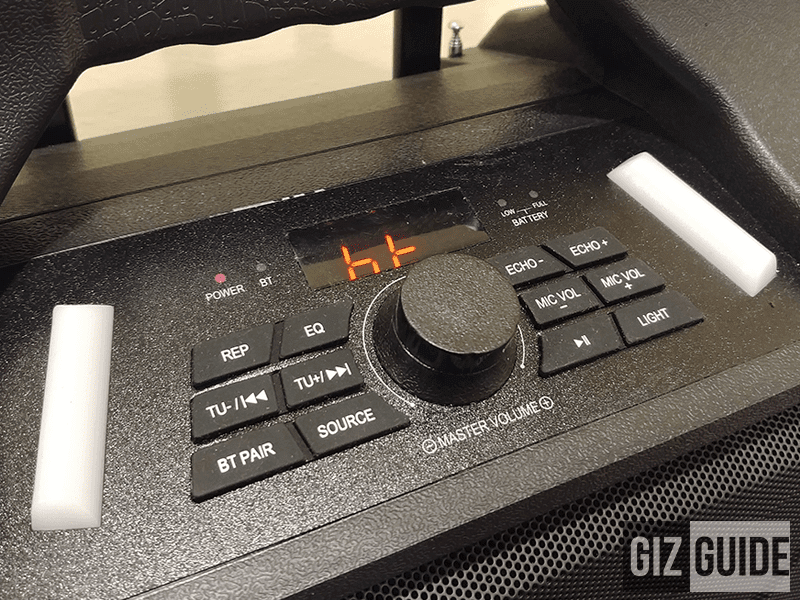 It's also complete with easy top controls for FM Radio w/ auto scanning channel, Bluetooth pairing A2DP and AVRCP, Source, Echo+ Echo-, Mic volume - Mic volume + and Light, and has LED indicators for Bluetooth, power, and battery charging. Moreover, the SDigital Bass Cruzer has support for different input sources such as: 3.5 mm AUX input, 2x Mic Jack with volume control, plug and play USB for MP3 music playback, and AC Adaptor (100-240V) 15V-2A external auto switching power supply. It also has Bluetooth connectivity has up to 10 meters range and has a sealed Lead-ACID rechargeable battery 12V 5.0A up to 3 - 4 hours continues music playing from your mobile phone too. It uses a motorcycle battery inside to ensure it can deliver that powerful sound with no compromise. The SDigital Bass Cruzer portable and rugged PA system with FREE high-quality wireless microphone is now available in select stores in PH for PHP 8,999.